Good for the wallet. Good for the planet. | Everything Delicious. Good for the wallet. Good for the planet. As food waste has become a hot topic and as people slowly realize what’s happening, we are also seeing more and more innovative ideas popping up to fight this issue. An inspired young French girl just came up with a really smart concept to prevent waste from food retailers! 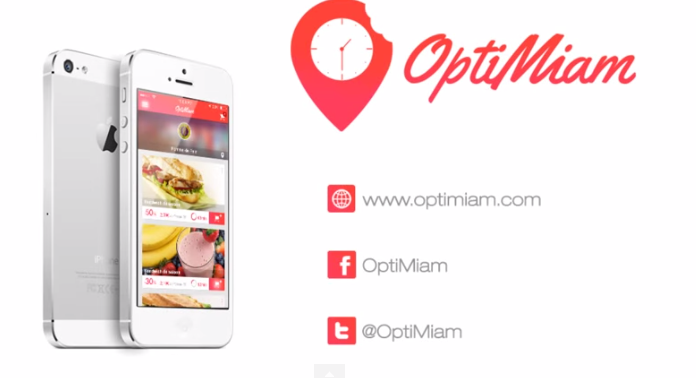 Optimiam is a mobile app that connects food stores and consumers. It’s simple, when food stores have perishable items that are going to end up in the bin, they can promote them with a special offer through the app. Consumers on the other side can download the app to be notified of promotions near them. So instead of throwing up all the excess “sandwiches, soups or salads” retailers have every single day, they give local passers-by a chance to get theirs hands on it for a bargain, making everyone happy. Happy retailer. Happy consumer. Happy planet. The smart app is only available in France right now but the founder plans to expand internationally within 3 years. Can’t wait for something like that to exist in Canada! This entry was posted on April 12, 2015 by Pauline Rosen in News feed and tagged food promotion, food waste, geolocalised offers, mobile app, optimiam.